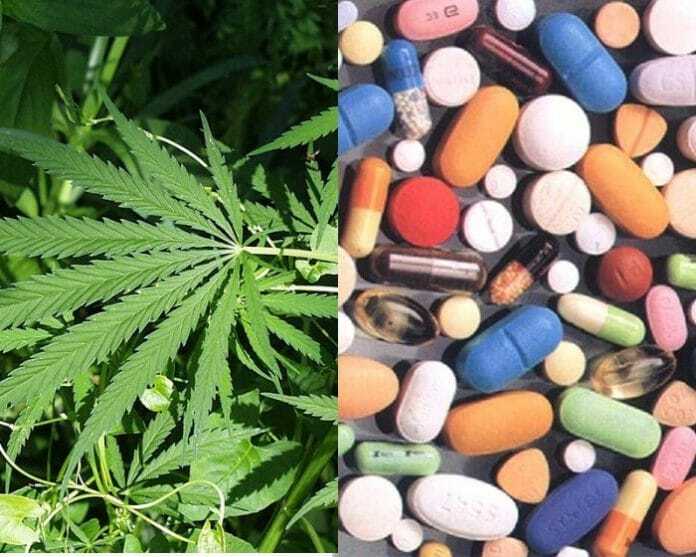 Another study has determined medical cannabis is displacing the use of other prescription drugs – and not just in the USA or Canada. Researchers from the Center for Medical Cannabis Education in California, Bastyr University Research Institute and the Center for the Study of Cannabis and Social Policy, both in Washington, surveyed 2,774 individuals who reported having used cannabis at least once in the previous 90 days. 46% reported using cannabis as a substitute for prescription drugs; most commonly narcotics/opioids (35.8%), anxiolytics/benzodiazepines (13.6%) and antidepressants (12.7%). The report notes a slightly increased percentage of those reporting substitution lived in states where medical cannabis was legal at the time of the survey (47% vs. 45%); but states this result wasn’t statistically significant. All 50 US states were represented in the study, along with respondents in 42 countries. Another interesting element to emerge from the study was a trend toward increased substitution with age. This, the researchers say, could be explained as older populations being more likely to be prescribed drugs, particularly psychotropic medications. Given the current epidemic of prescription opioid-related abuse, the researchers believe cannabis could play an important role in addressing the crisis. “Taken with pre-clinical data on the role of the endocannabinoid system in stress, pain processing and immune homeostasis, it is clear that future investigation is warranted using controlled trials with human subjects to better understand the role that cannabis may play in treating pain, anxiety, depression and other conditions,” state the researchers. The results of the study were published in the Journal of Pain Research and can be viewed in full here. The same team previously reported 61% of 1,429 medical cannabis users utilised cannabis to manage pain, 58% for anxiety and 50% to manage depression. It’s certainly not the first study to provide encouraging results with regard to prescription medication substitution. In March we reported a University of British Columbia and University of Victoria study found 63 per cent of pain patients surveyed used cannabis instead of their prescription drugs; which included opioids, sedatives and anti-depressants. Last month we mentioned a study carried out in Canada that found 40 per cent of patients who were prescribed medical cannabis to treat pain and anxiety ceased the use of benzodiazepines within 90 days. Is Non-Cannabis Cannabidiol Legal In Australia?